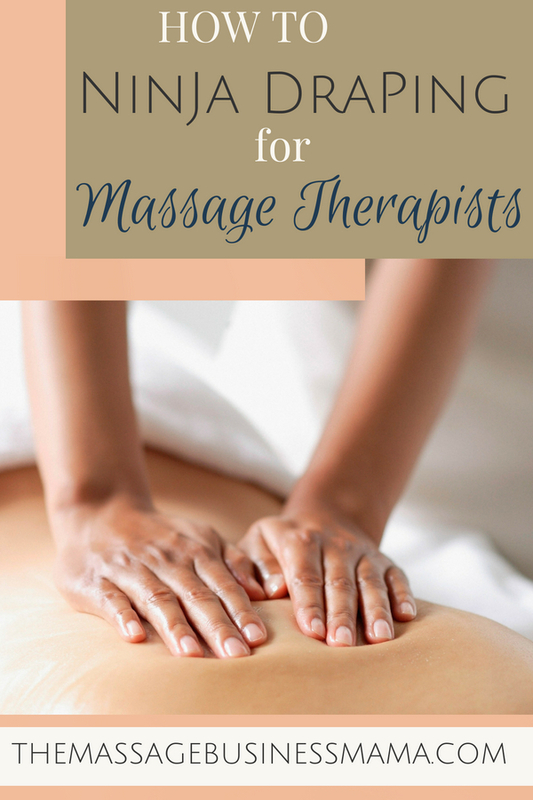 In this Post: Draping can be an intimidating thing when you are new to the massage field. Learn how to drape your massage clients with ease and confidence. One of my biggest pet peeves with new therapists is how they drape. Why do new therapists get so caught up with the logistics of draping? They crinkle and tuck and crinkle and tuck and crinkle and tuck some more. It eats into the massage time, feels creepy, and expresses inexperience on the part of the therapist. I remember when I was fresh out of school and one of my colleagues at the spa I worked at referred to herself as a “Ninja Draper.” I loved that! Quick, effortless, efficient, and mostly confident, these are the skills required to master the art of Ninja Draping. I worked hard to call myself a ninja draper too! It’s been nine years since I interviewed my first massage therapist. I always have my potential teammates do a verbal interview as well as a hands-on interview. I’m blown away by how many therapists can give really good massages, but get hung up on how to fold a sheet. It distracts from an otherwise pleasant experience. 1) Practice – I understand that sometimes it is intimidating. You might expose too much. You might not expose enough. So, find someone to practice on. Someone who you are comfortable enough with that if you do happen to expose them it won’t be a big deal. And then practice, practice, and practice some more. 2) Make Swift Movements – One quick tuck. Take the quad muscles for example. Many therapists do two tucks (one behind the leg and the other behind the back) when one would suffice. Tuck under the hamstrings, don’t tuck behind the back as well, it’s creepy! Multiple tucks are creepy. Extra nervous fingers in weird places, no thank you! 3) Don’t Crinkle – Crinkling takes too much time. Grab one edge of the sheet and swiftly put it into place. Here is where practice comes in handy again! 4) Don’t Avoid the Glutes – This is one of the areas I find new therapists especially nervous around. However, sooooo many people need good glute work! The origin of the gluteus maximus goes right up to the sacrum and the coccyx. It is important to work these origin points if you want to give a good massage. Don’t be shy. People need the work! 5) Lose The Conservativeness – While we never want to expose too much, it is super irritating when we underexpose. The iliac crest, the hip flexors, pectoralis major these are all areas we miss if we are too caught up in overexposing our clients. 6) Don’t Let Your Clients Suffocate – Often when our clients turn over, the sheets are all the way up past their chins. Don’t leave the sheets up here, fold the sheets once down across the bottom part of their clavicle. This way they can breathe easily but aren’t overly exposed. 7) Move Blankets First – I know a lot of schools don’t teach draping with blankets. I believe this is doing students a disservice. In the real world of massage, people get cold and want more than just a sheet to cover their bodies. Hence sheets and then blankets on top of sheets. When draping move the blanket out of the area first and then tackle the sheet. 8) Fake Confidence – Even when you don’t feel it, fake it until confidence exudes from your pores. Fake it until you are so comfortable in your draping that you can do it with your eyes closed. I promise the time will come when you can drape with your eyes closed! Nothing screams “new therapist” more than someone who is not confident in their draping skills. 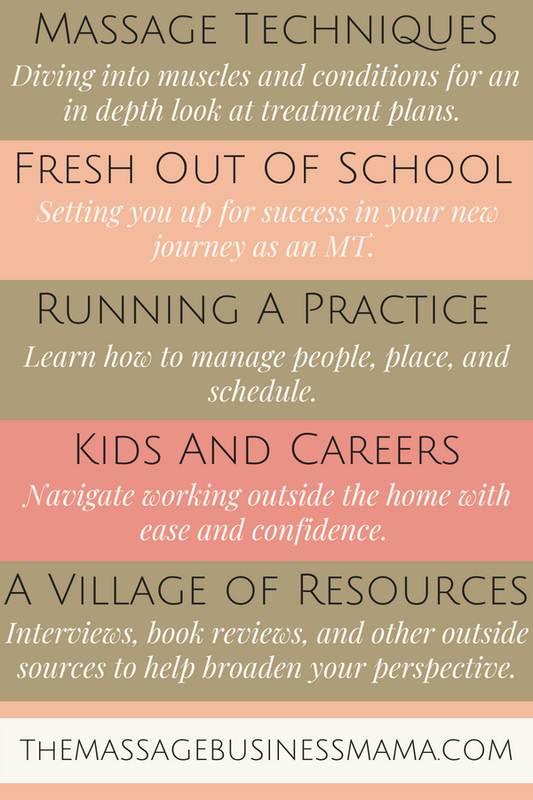 Take the time to become proficient, your clients will thank you, and you will have more job opportunities open up to you. Practice the above skills, and soon you too can call yourself a Ninja Draper. Below is a video of me demonstrating some of these Ninja Drape Techniques. Please ignore all the “um’s” it was my first ever video. Confident draping helps clients feel more at ease; with their regular sessions they can relax without thinking of the “drape”. Great video, very informative! Thank you! I have been “creepily” drapes many times, what a drag to a great session….